MOSCOW (Sputnik) - Russia wants peace in Venezuela and supports efforts to foster dialogue between the government and the opposition amid the political crisis in the Latin American country, since this is the only way to stabilize the situation, Russian Prime Minister Dmitry Medvedev said. The prime minister added that all those who cared about the peaceful future of Venezuela should make effort to promote dialogue, slamming Washington, which backs Venezuelan self-proclaimed interim president Juan Guaido, for damaging the global dialogue on the situation around Venezuela. "Washington’s efforts have led the discussion of the socioeconomic situation, the legitimacy or illegitimacy of the presidential election in Venezuela, away from constructive dialogue to a completely different place. This, unfortunately, is often followed by chaos, unrest, and the complete destruction of the economy and trade. We have already seen this more than once in other countries", Medvedev said. He also voiced the belief that "increase in the intensity of political passion" never did any good for the people. The Russian prime minister added that his country was very much worried about Washington's statements about the possibility of military intervention in Venezuela. "Statements come out of Washington about the possibility of military intervention. There are provocations on the borders. All this is very alarming and suggests that the policy of overthrowing any undesirable governments in the spirit of the Monroe Doctrine is once again becoming a priority for the United States", Medvedev said, calling on Russia's "South American friends" to take note of this change in the US policies. Tensions in Venezuela escalated last month when US-backed opposition leader Guaido illegally declared himself interim president. The United States immediately recognized Guaido, seized billions of dollars’ worth of the country’s oil assets, and threatened to use military action against incumbent President Nicolas Maduro's government. Maduro has accused Guaido of conspiring with the United States to overthrow the country’s legitimate government. Russia, China, Cuba, Bolivia and a number of other countries have reaffirmed their support for constitutionally elected Maduro as Venezuela’s only legitimate president. Medvedev also said in an interview with the Bulgarian newspaper Trud that there is no global confrontation between Russia and the United States, even given current tensions. "The tension around Venezuela is not about global confrontation between Russia and the United States. And, in fact, that global confrontation is long gone, even with all the current difficulties in our relations with the United States", Medvedev said in an interview with the Bulgarian newspaper Trud. He slammed "Cold War" cliches as "deceptive". "They just divert attention from the essence of what is happening in Venezuela and, naturally, from the role being played in these events by the US and a number of countries in Europe and South America following in its wake. The information clamor around Venezuela is intended to veil the conflict between international law and the rule of law, on the one hand, and total lawlessness, on the other", Medvedev said. Commenting on the recent developments in Moscow-Kiev relations, the Russian prime minister said that Moscow wanted to mend ties with Ukraine, but it was difficult to make any forecasts considering future relations between the countries, since Kiev was behaving too unpredictably. "Russia is certainly eager to improve relations with Ukraine. We are neighbors. Many Russians have relatives there, just as Ukrainians have them in Russia", Medvedev said in an interview with the Bulgarian newspaper Trud, held ahead of his visit to Bulgaria. He stressed that the people of the two countries had common history and culture, recalling that "until recently" Russia and Ukraine enjoyed "mutually beneficial economic relations". "But now the situation is very difficult. To change it, we both need to move toward the middle. However, Kiev behaves in such a way that it is difficult to make any predictions", Medvedev added. He went on to slam Ukrainian President Petro Poroshenko for using unsubstantiated accusations targeting Russia in order to divert Ukrainians' attention from his failures in domestic policy, ahead of the Ukrainian presidential election, slated for 31 March. "The government in Kiev regularly levels made-up accusations at us. 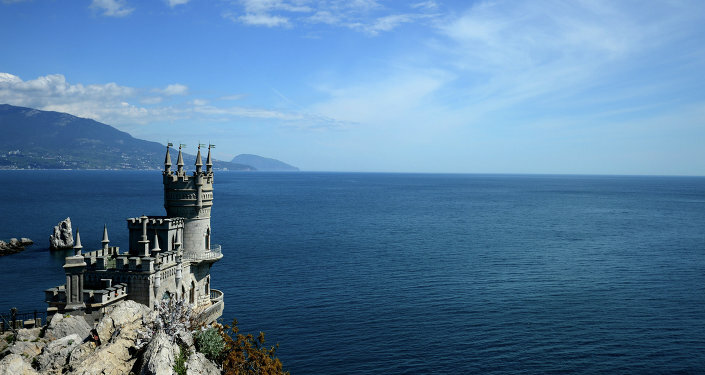 Provocations are staged, such as the incident in the Kerch Strait in November 2018. Russia is openly used as an issue to distract voters from the government’s failures in domestic policy and the economy, from civilian casualties in Donbass, and from economic ruin […] It seems that, without Russia, President Poroshenko, who is running for a second term, would have had nothing to talk to his people about. If he cannot sustain dialogue with his people, he is unlikely to be able to negotiate with the leadership of a neighboring state", the prime minister said. Medvedev also slammed Kiev's move to close polling stations for Ukrainians residing in Russia, ahead of the presidential elections. "At the very outset of the pre-election marathon, Kiev, under flimsy pretexts, closed polling stations in its diplomatic and consular offices in Russia. About 3 million Ukrainians who live and work in Russia have lost their ability to vote. This is a clear violation of their electoral rights", Medvedev said in an interview with the Bulgarian newspaper Trud. He went on to say that the procedure for observing the voting process had been violated by the Ukrainian government. "Russian citizens were prohibited from participating in election monitoring, even as part of OSCE [Organization for Security and Co-operation in Europe] monitoring missions. This is a serious violation of Ukraine’s own international obligations. And it is exceedingly rare in practice. Obviously, the ruling regime has something to hide", the prime minister added. 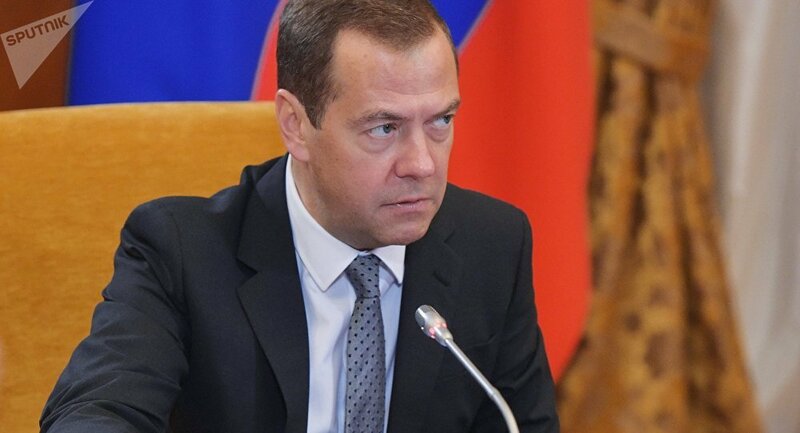 The decision to extend the TurkStream through Bulgaria has not yet been made and depends on the specific actions of the two countries' governments, since Russia needs guarantees that the European Union would not interfere with gas deliveries via the new pipeline, Russian Prime Minister Dmitry Medvedev said in an interview. "The decision to extend the TurkStream pipeline across Bulgaria depends on whether Sofia can get firm guarantees that the EU will not obstruct the plans for gas supplies via the new gas pipeline", Medvedev told the Bulgarian newspaper Trud. The new line should not suffer the fate of South Stream, he stressed, adding that Russia sees that Bulgaria is interested in the project. "We are already seeing progress in Bulgaria. Bulgartransgaz has recently completed the open season procedure – the collection of binding bids to reserve future gas transmission capacities. Also, Bulgartransgaz has made the final investment decision on the project to develop and expand its gas transmission system. The road to beginning construction work is all clear," the head of the Russian government said. The pipeline project is beneficial for all sides, Medvedev noted. "We are confident that cooperation on natural gas meets the interests of our economies – not only the Russian and Bulgarian economies, but the overall European economy, too", he said. Moscow believes that the construction of another gas corridor will further enhance energy security in Europe, he stressed. "With the current policy of liberalising the gas market, it will be possible to use the existing infrastructure more flexibly depending on obligations, market conditions, transportation costs and other market factors", Medvedev explained. 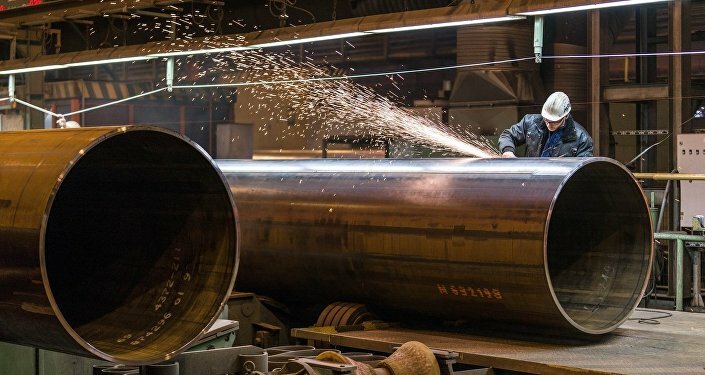 The option to extend the second branch of the TurkStream to Bulgaria, Serbia and Hungary is currently being worked out, the prime minister added. "Which extension option for TurkStream is ultimately chosen will largely depend on the availability of gas transport infrastructure. That, in turn, depends on the involvement and concrete actions of the governments in the respective countries", he said. The TurkStream pipeline will have two legs, each with the capacity to deliver 15.7 billion cubic meters (554 billion cubic feet) of gas per year. 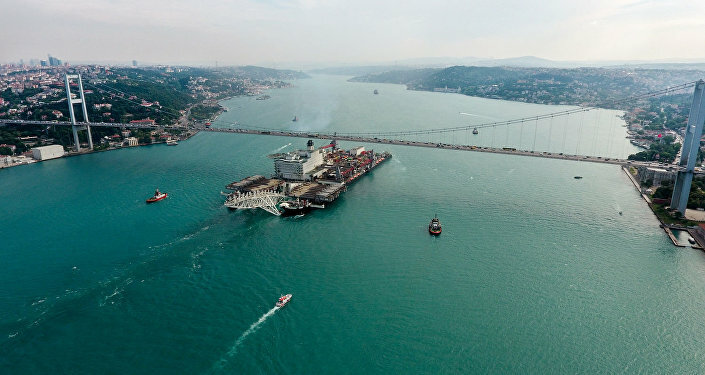 The first leg is set to bring gas across the Black Sea directly to Turkey, while the other one will run across the country to its western border, transporting natural gas to states in southern and southeastern Europe. The pipeline is expected to be launched by the end of 2019. Several EU countries said they wanted to be part of the project. Gazprom is considering options for continuing the TurkStream either through Bulgaria and Serbia, or through Greece and Italy. In 2014, Russia halted the implementation of the South Stream pipeline, which was intended to traverse the Black Sea to deliver Russian natural gas through Bulgaria, Serbia, Hungary and Slovenia to Italy and Austria to bypass the territory of Ukraine. Moscow gave up the project as the European Commission opposed it over alleged breaches of EU energy legislation.